The Board of Control for Cricket in India (BCCI) on Wednesday announced a new contract system and compensation structure for Indian cricket that will see the cricketers earn a lot more than what they used to in previous years. “The Hon’ble Supreme Court of India appointed Committee of Administrators (CoA) for BCCI on Wednesday announced the Annual Player Contracts for the period from October 2017 to September 2018. 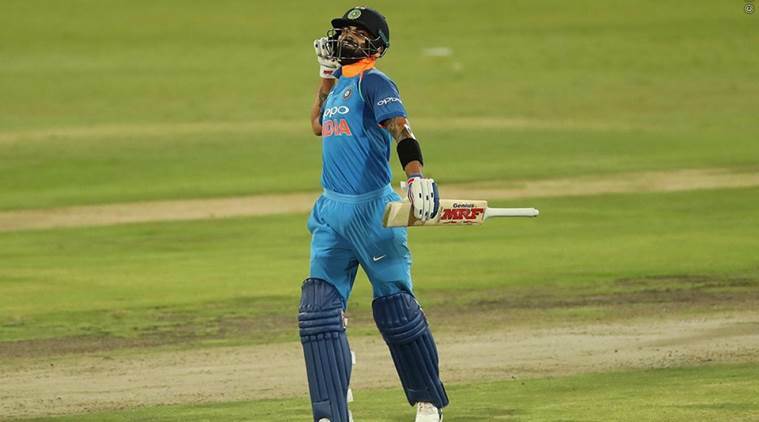 The CoA was of the view that the performance and position of Indian Cricket needs to be recognised with the fee structure comparable to the best in the world,” the BCCI wrote in a statement. The BCCI have introduced a new grade system altogether – Grade A+ : Rs 7 Cr, Grade A: Rs 5 Cr, Grade B: Rs 3 Cr, Grade C: Rs 1 Cr. Earlier, there was no Grade A+ in the list while Grade A players used to get Rs 2 Cr and Grade B and C cricketers received Rs 1 Cr and Rs 50 Lakh respectively. Five players will recieve Rs 7 Cr annualy from BCCI as they have been placed in the top grade – Virat Kohli, Rohit Sharma, Shikhar Dhawan, Bhuvneshwar Kumar and Jasprit Bumrah. Meanwhile, former India skipper Mahendra Singh Dhoni remains in Grade A and will receive Rs 5 Cr per annum. Dhoni hasn’t been playing Test cricket for a long time now and that is being seen by many as the reason why he wasn’t promoted to Grade A+. Dhoni is one of the seven players to be named in Grade A and the others are – Ravichandran Ashwin, Ravindra Jadeja, Murali Vijay, Cheteshwar Pujara, Ajinkya Rahane and Wridhhiman Saha. Grade B players will be richer by Rs 3 Cr per annum and the seven cricketers are: KL Rahul, Umesh Yadav, Kuldeep Yadav, Yuzvendra Chahal, Hardik Pandya, Ishant Sharma and Dinesh Karthik. Kedar Jadhav, Manish Pandey, Axar Patel, Karun Nair, Suresh Raina, Parthiv Patel and Jayant Yadav will receive Rs 1 Cr each for being named in Group C.
As for the Women’s team, the Indian cricket board have announced a new grade C, which will see players earning Rs 10 Lakh per annum, in addition to Grade A: Rs 50 Lakh and Grade B: Rs 30 Lakh. The Committee of Administrators (CoA) was of the view that the performance and position of Indian Cricket needs to be recognised with the fee structure comparable to the best in the world,” the BCCI said in a statement. Among the women, World Cup stars Mithali Raj, Jhulan Goswami, Harmanpreet Kaur and Smriti Mandhana have been kept in the top bracket, under which the annual contract is worth Rs 50 lakh. “Hence, to insulate the player compensation, the CoA has sanctioned the creation of a ‘Players Revenue/Compensation Equalisation Fund’ (PR/CEF) to which the BCCI will contribute approximately Rs 125 crore per annum from its surplus,” the BCCI statement read.